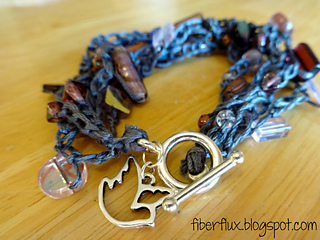 This pretty bracelet is made using beads I recycled from a piece of jewelry I no longer wore, so I turned it into something new! 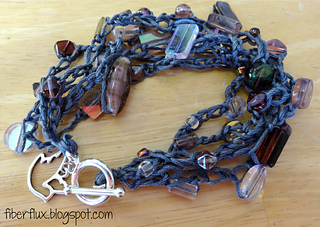 Multiple strands are crocheted using simple chains and tied together onto a toggle clasp. 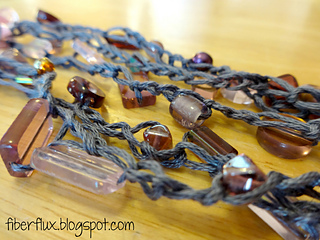 If you have never added beads to your crochet projects, this is a great place to start. 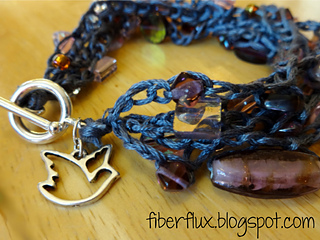 Likewise, if you can crochet a chain, you can make this easy and pretty bracelet.